(+39) 0982.41186 Customer Service ? Apparel and Accessories for running around in Nature. Run with more comfort and protection with off-road racing garments. Discover the wide section of our online store dedicated to trail running. A wide range of clothing, shoes and trail accessories is waiting for you to start your adventures in the best possible way. If the pedestrian trail, the traffic lights and the smog have already tired you, it's time to move on to the trail. Whether it's a few kilometers of walking along the path behind the house or an epic ultra-trail company in the Alps, running around in nature is always a fantastic experience. The true energy in trail running comes in fact from contact with nature and the variety of environments that you go through. Nothing will be more monotonous: slopes, fords, mule tracks, obstacles of all kinds and if there is a little rain it is even better. Equipped with trail clothing, shoes and specific accessories, you can find everything on Mister Running! 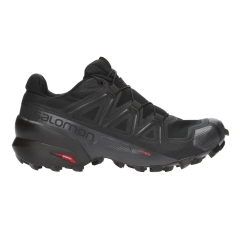 Irregularities, gravel, steep rocks, muddy paths and puddles will no longer be a problem for you. On Mister Running you will find all the latest models of the best trail running shoes brands that will allow you to face every adventure: discover the new collections of Mizuno, Salomon, adidas, Asics and Saucony. 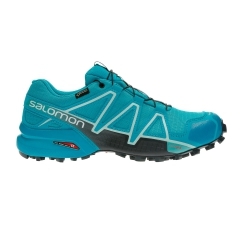 Trail running shoes are made with uppers with reinforced chassis in the areas most subject to impacts, and provide super technical measures aimed at the total protection of your foot. Choose a well-structured trail shoe for safety in the supports and grip on any surface, and if you're thinking of tackling damp terrain, opt for models with upper in Gore-Tex water repellent material, a guarantee to keep your feet dry. Having perfect trail running clothing is just as important: it must be made of functional, breathable, lightweight and at the same time resistant material. The elasticity of the fabric of trail clothing allows you to run uphill and downhill in complete freedom. And then complete your looks with trail running accessories. Running in non-urbanized environments implies the risk of not being able to access water resources for long periods. Bring with you a backpack with hydration system that can store water in a rear tank with straw or in trail flasks of various sizes. Buying on Mister Running all your trail running equipment is comfortable and fun because you have at your disposal a large quantity of products all always available immediately in stock and ready to reach you at home in no time. In fact, orders are processed in a few hours and arrive at their destination all over Italy within 3-4 days. But our online store is especially convenient: we always offer you the best price on the web. And the benefits do not end here: the return is always free within 14 days of purchase. We will send to our address our courier who will collect the package and you will receive a refund in a very short time. No costs for you! What are you waiting for to try out your new trail running equipment?